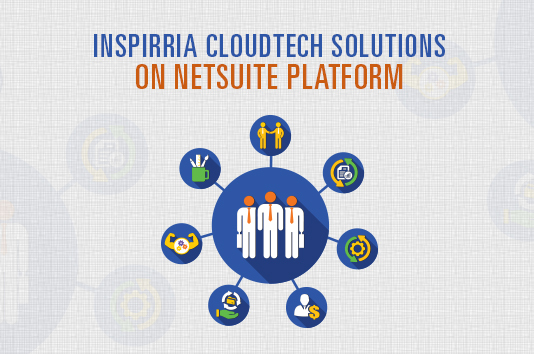 Inspirria is a leading NetSuite Partner which provides solution for a better NetSuite experience. A company runs to get profits. Once NetSuite is installed you are assured to get the best Return on Investment. There are a wide range of Add-on solutions that can be used for the different processes in the organization. Once the solution is up and running we don’t leave all of it there, we avail the strategic guidance and hands on expertise. You can always ask us for a pre-sales demo of the solutions that you would require for your organization. You want to tweak the process we can do that by customizing the solutions. You have a problem, we solve them with our personalized services. We always believe that our customers should have a rich and error-free experience. When it comes to taxes it should be accurate. You can get accurate taxes with Inspirria India Taxation . This add-on will help you in automating the taxes and enhancing your experience with NetSuite. This module caters according to the Indian Taxation Statutory Reporting. It also automates the VAT, TDS and Service Tax for Indian Wholesale and Distribution Industry. All the processes are automated. All the NetSuite transactions are integrated. This module is catering to all the statutory reporting needs which are governed by Indian Taxation laws. It provides detailed statements regarding the vendor and customers. All the reports can be downloaded in convenient formats. It includes automated financial compliances like TDS, VAT, Service Tax and Schedule VI. It also provides multiple formats for Balance Sheet. This PayEdge module for NetSuite will help in automating and easing the Payroll life-cycle which will help in saving time and will be a cost effective solution. It is backed up by our team of professionals who work specifically work according to the client requirement. Inspirria has its presence in India, UK, US, Canada and Middle East and also seek to set standards for the multinational Payroll Management focusing on India, Dubai and Iraq which is built on NetSuite. This module will help in easing the statutory compliance by providing the necessary as per the local jurisdictions. The payroll processing is based on one click. You can have an accurate, error free calculations and a quick processing time. There would be a single platform for the financials and employee payroll processing. There is no need of third party software or additional integrations. It has a plug and play module. This module can be easily implemented and used. Inspirria Leave Management System module will help in automating the entire leave process within NetSuite. The complete leave record is managed online which in turn also reduces the paper work. The leave applications and approvals can be managed online. All of this is backed up with our team of professionals who work according to the requirements of the clients. We at Inspirria, seek to set the standard for multinational leave management having set a focus on India and UAE. It is designed and developed for NetSuite. It is integrated seamlessly into NetSuite. It will enable the employees to apply for leaves on the go. Employees can view their yearly entitlements and balances. Applications can be routed quickly with the organization. The process of approvals from the authorities will be fastened. The management will allow configuring the rules and regulations. The ServiceEdge module enables the clients to attain a higher level of customer satisfaction by offering a 360 degree of control and visibility of their service and maintenance operations. It also helps in tracking data of the customer’s equipments and auto generates contracts and installation/delivery and a preventive maintenance job for providing complete visibility over the service contracts. It offers various service industry specific automations, controls and validations. It is an app which is covering the post sales services i.e. Equipments Contracts and Cases. Helps in contract up-selling, down-selling and renewals. The tracking of the customer invoices based on contracts and cases. The integrations have been strong throughout Standard NetSuite Sales, Purchase and Support Modules. It will have automatic scripts which will help in generating service contracts and support cases. This module also provides an out of the box library service module reports, charts and dashboards. It also provides service contracts with an extensive data for recording scope, terms and conditions. Are you planning to set up a new business and in search of the best NetSuite solution? We at Inspirria Cloudtech, are here to help you. You can take us as your secured cloud provider partner and NetSuite solutions with decade plus of experience working with 450+ Cloud projects. We push productivity to its optimum level with some proven solutions that are used by best companies all over the world.